According to Wikipedia, a neighborhood association is “a group of residents or property owners who advocate for or organize activities within a neighborhood.” To me, however, neighborhood association has a different meaning. Neighborhood association is the relationship you have with those who live next to you. Do you chat on the front yard as you’re doing yard work? Have a get-together on your neighbor’s deck? Meet on the corner to start your morning walk together? Chat on a blanket as all of the kids gather to play in the cul-de-sac? That’s neighborhood association. It’s the events that are held at your local park. 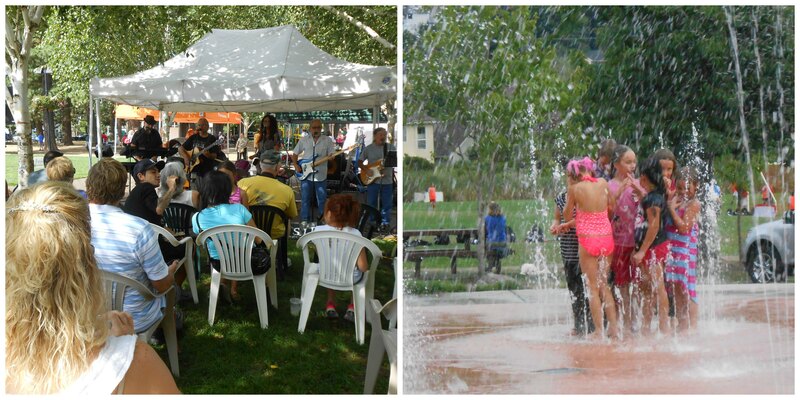 Music, food, kids’ sports, fitness walks, the playground….anything that brings you together. 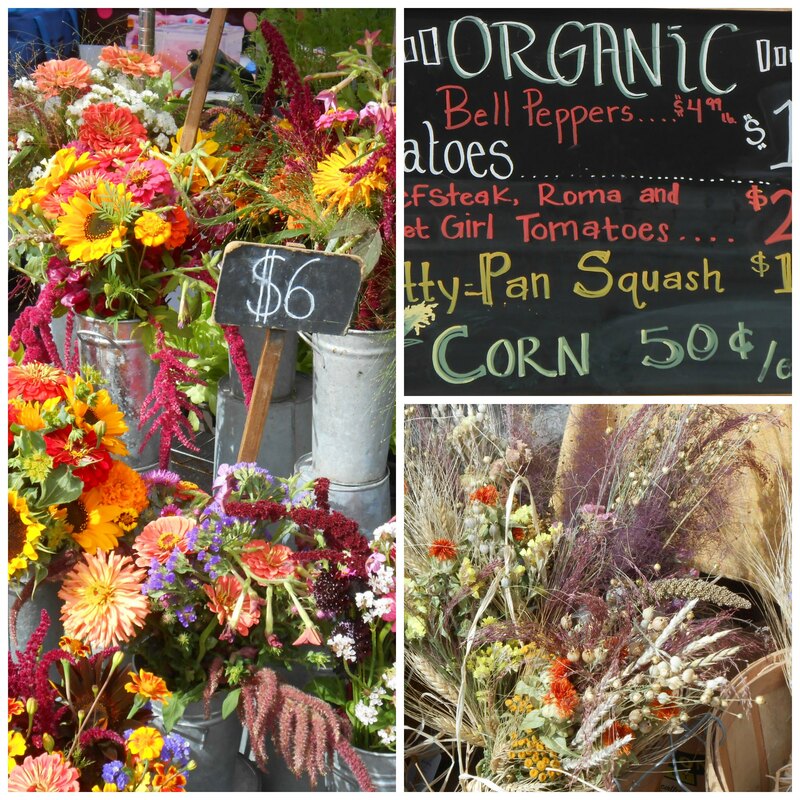 Neighborhood association is your local Farmer’s Market, where you go to buy fresh produce, flowers and locally made goods. It’s where you go each week with a list in mind of what you need, but you always factor in a bit of extra time to chat with the neighbors you see there. Last month’s Stashbuster pattern was “Neighborhood Association.” Each block contains multiple houses ~ stacked on top of each other, next to each other, as close as can be. 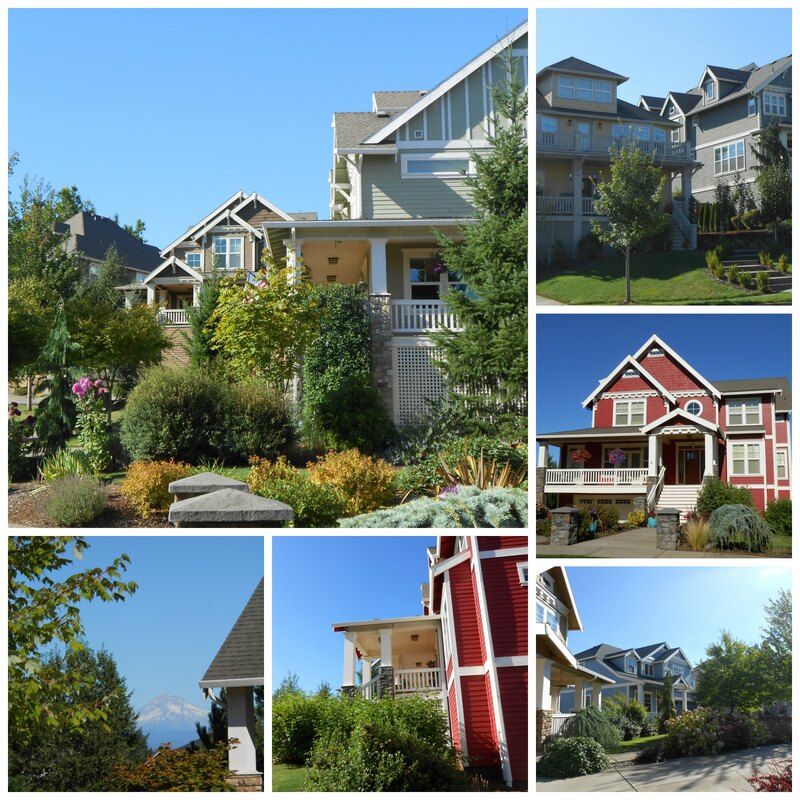 It reminds me of a colorful neighborhood hillside ~ each house has it’s own personality, but, together, they make up a place where people gather to spend time with one another. Have you started a collection of fat quarters without a project in mind? This might be the perfect quilt for them. 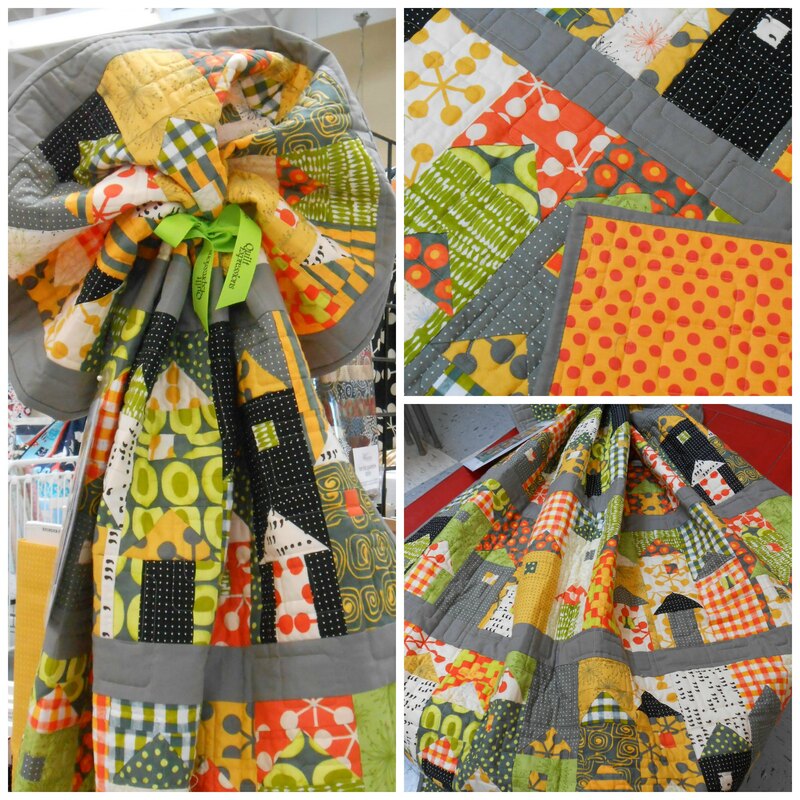 The pattern calls for twenty fat quarters plus 2/3 yard for sashing. The completed size is 52.5″ x 72.5.” It’s also recommended that you use a Quilt in a Day Flying Geese Ruler. 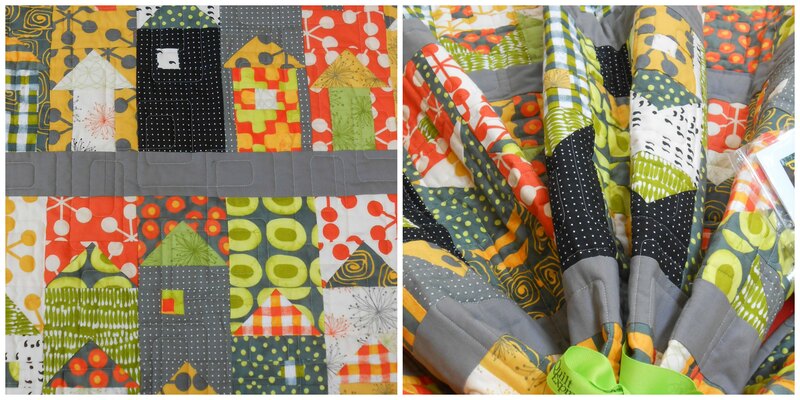 Click here to visit our website to purchase both the Neighborhood Association pattern and the Quilt in a Day Flying Geese Ruler. Leave a comment and let me know: What’s your favorite thing about your neighborhood? We bought our house a couple of years ago, and I love that we’ve met enough people that most everyone gives a friendly wave and a “hello” as they pass by. 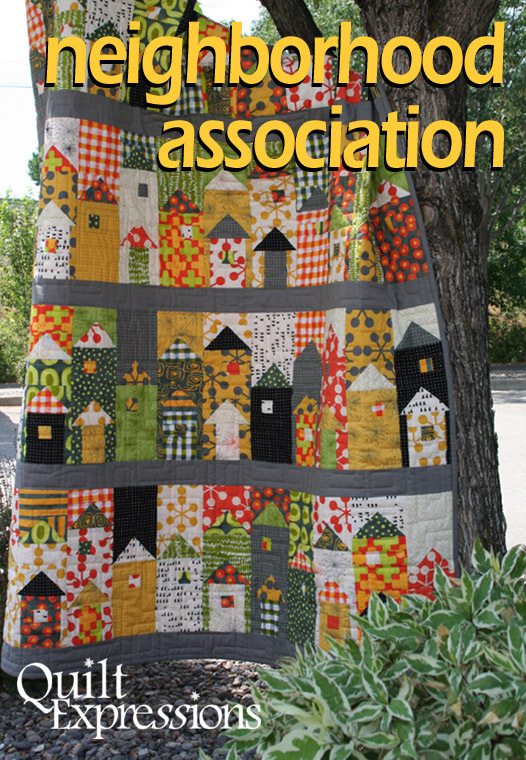 This entry was posted in Pattern Place, Quilt Expressions Originals, Uncategorized. Bookmark the permalink. After checking out a few of the blog posts on your web page, I truly appreciate your way of blogging.